This year is also the 200th anniversary of the successful completion of the Lewis and Clark Expedition. So it seemed very appropriate to ride the Empire Builder, whose route [from the shores of Lake Michigan to Puget Sound and the Pacific] parallels much of that historic journey. These photos were taken in June 2006. Let the journey begin with a beautiful sunset as the Empire Builder glides along the banks of the Mississippi River between Wisconsin and Minnesota. This photo is suggested to use as wallpaper on your desk top. refreshed, prior to beginning the long climb to the Rockies and the Continental Divide. Low clouds hang over the Continental Divide, the "spine" of North America. Water divides along this line -- to the east, rivers drain into the Great Lakes and the Gulf of Mexico; to the west, they drain into the Pacific Ocean. And even in June . . . near the time of the summer solstice . . . the snow never entirely melts. 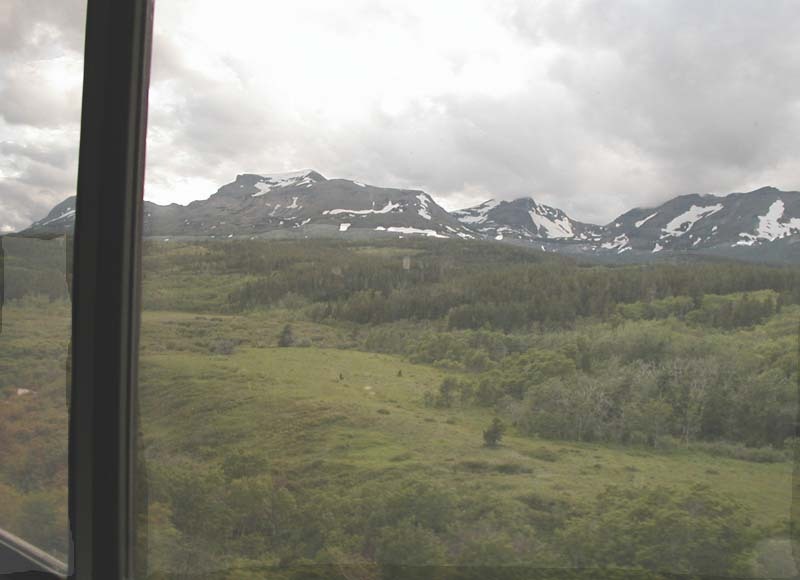 Just west of the "Divide" is the Izaak Walton Inn. Built in the early days of last century to house railroad crews working on the line, the Inn now plays host to variety of visitors -- everyone from railroad buffs to folks who just want to get away from it all. Twice daily, guests and staff assemble on the front porch to wave as Amtrak glides by. [The engineer always acknowledges!]. 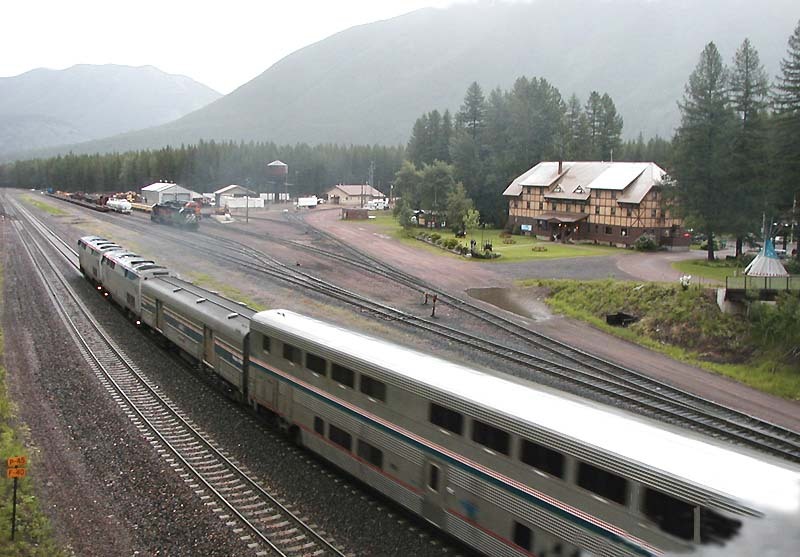 Here, a Seattle-bound Empire Builder passes the Inn. 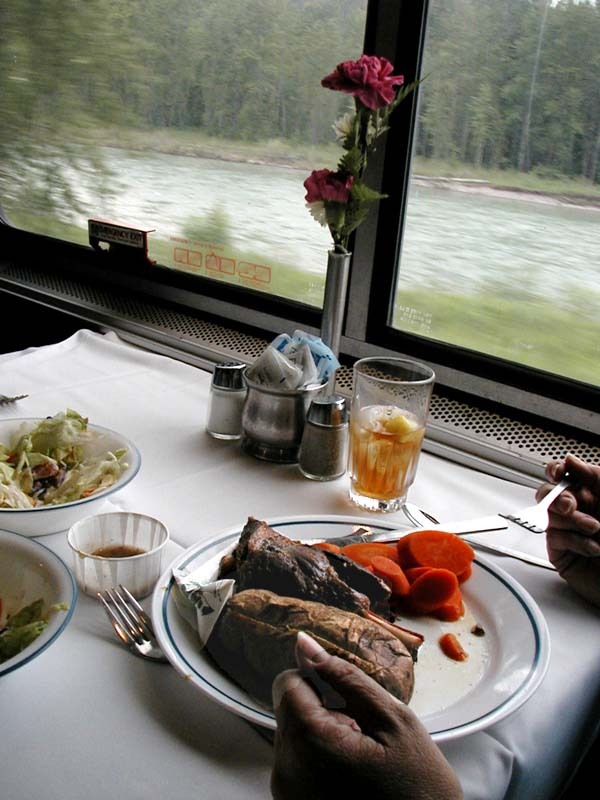 As always, Amtrak provides guests with a "moveable feast." 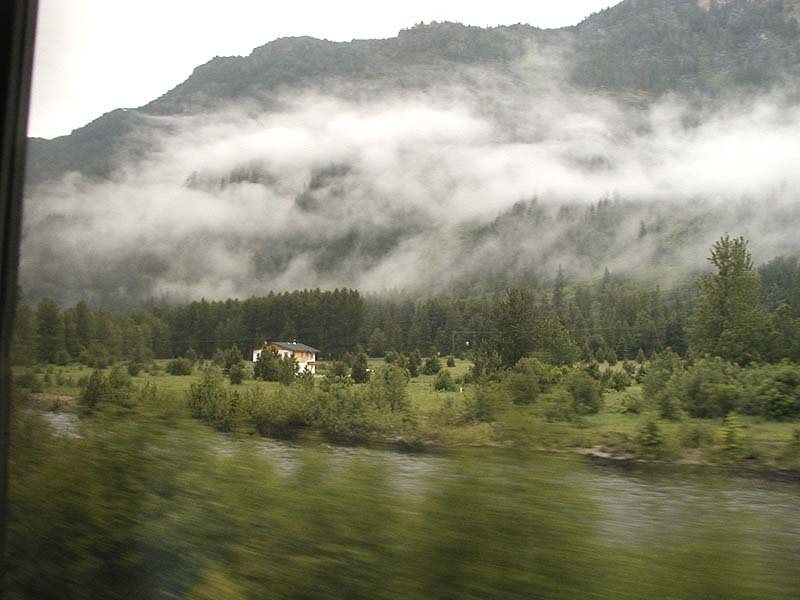 Just outside the train window is the middle fork of Montana's Flathead River. Inside is another kind of fork -- one that's accompanied by braised lamb, fresh vegetables, salad [and the promise of dessert to come]. Not shown: the cheerful, attentive service provided by dining car personnel. The linen tablecloth and fresh-cut flowers round out a luxurious experience. The western slopes of Washington state's Cascade Mountains owe their lush green color to Moisture from the Pacific Ocean. Here, low clouds and early morning fog hang over the landscape. 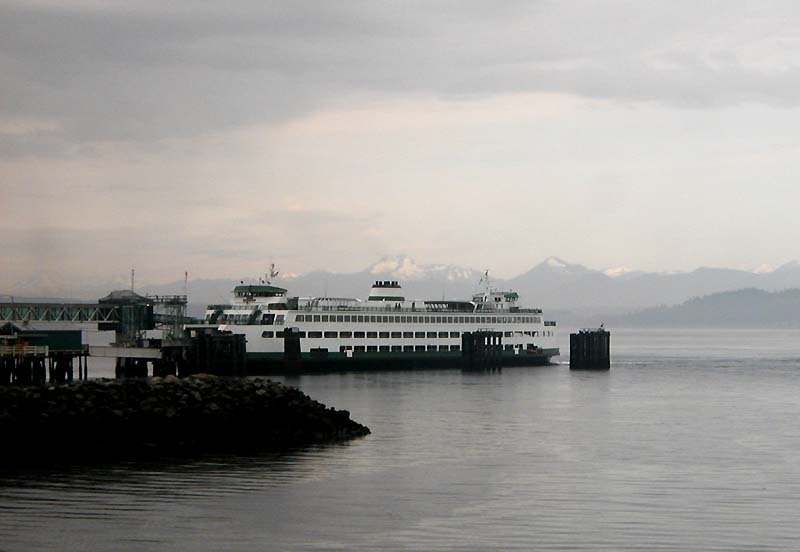 At Edmonds, a Washington State Ferry makes ready for the sailing across Puget Sound. In the background are the snowy peaks of the Olympic Peninsula. From here, the Empire Builder rode along the Puget shoreline for more than a dozen miles before it arrived at Seattle's King Street Station . . . 25 minutes early! But then, for me, all Amtrak trains arrive too soon. 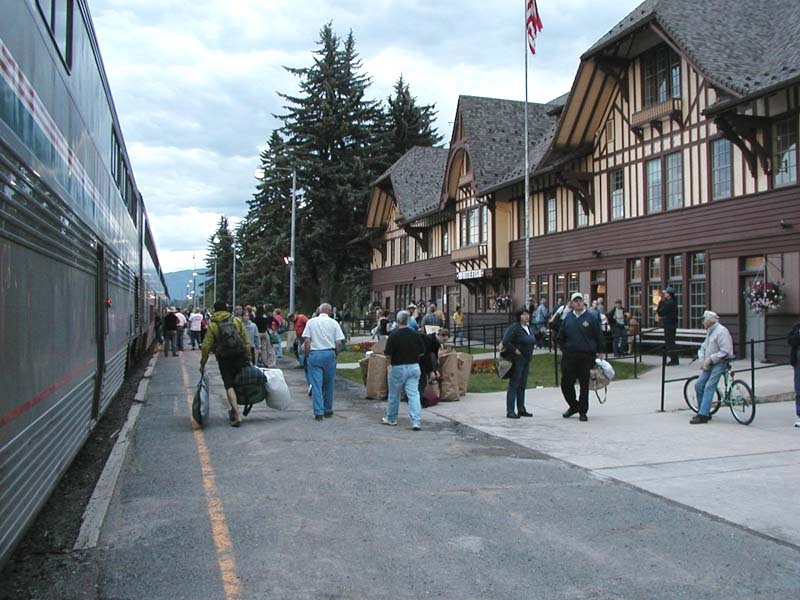 This picturesque, Alpine-themed station is at Whitefish, Montana. 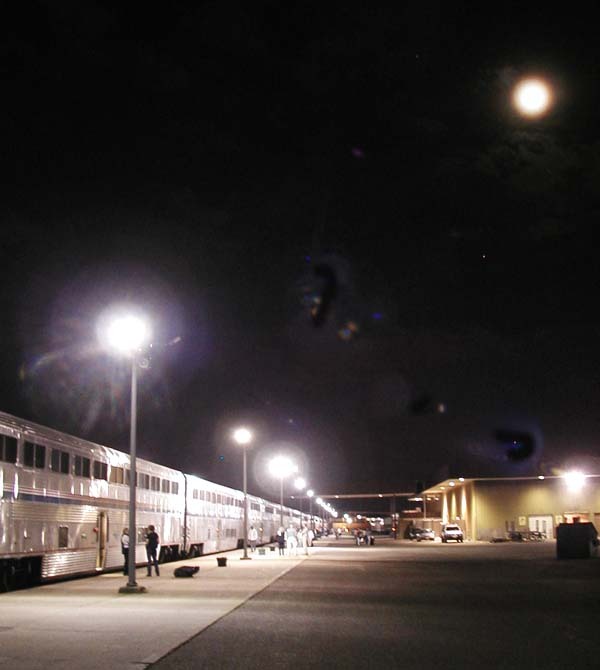 As you can see from the numbers of people on the platform, the arrival of the Empire Builder is more than just a curiosity . . . it's an active event for travelers who value the kind of experience that only rail transportation can provide. 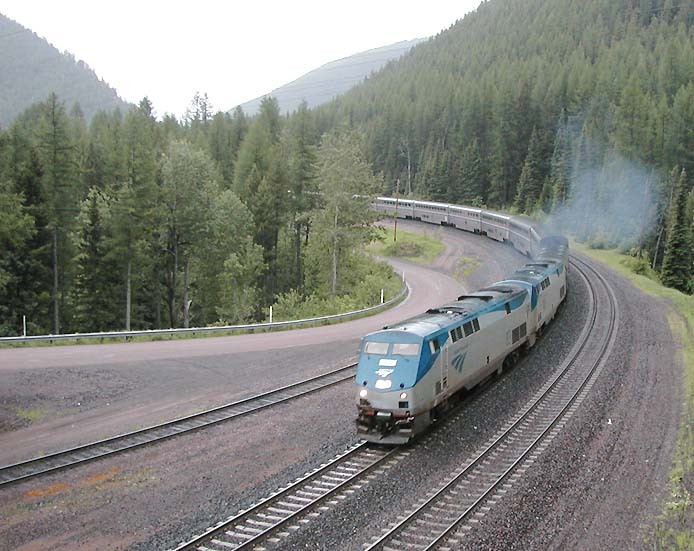 The Empire Builder is Amtrak's premier long distance train! 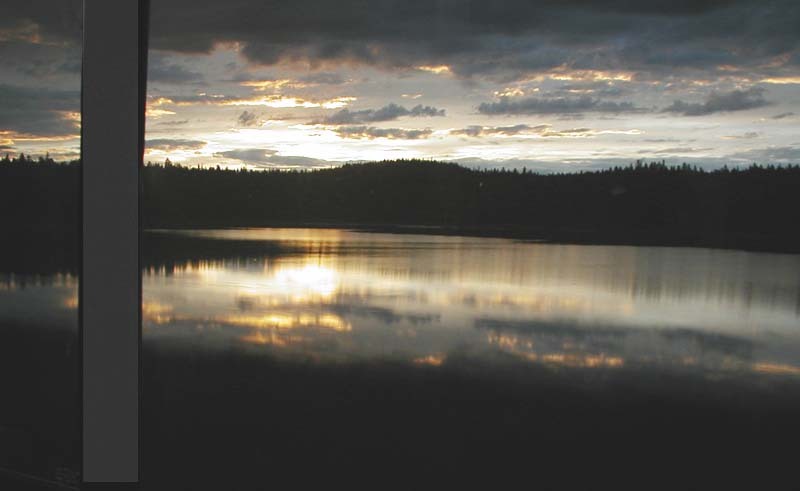 The Route of The Empire Builder. Home Page crewten.com / Save Amtrak Home Page"
Amtrak magic" -- there's no other way to explain it. Web page created July 22,2006-Ok to use photos please givea photo credit to Mike Sloan and crewten.com.